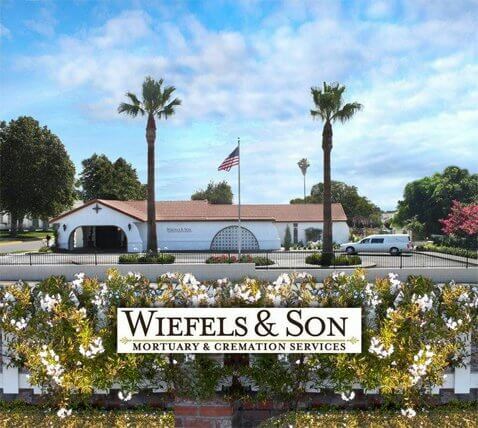 Whether looking for affordable  Funeral Options  or  Cremation Services, Wiefels & Son Mortuary and Cremation Services is your local funeral home near Yucaipa CA and can also service and cater to the families in the surrounding communities such as Banning and Beaumont CA. While there may be other reputable local Funeral Homes in Yucaipa CA serving families, Wiefels & Son Mortuary and Cremation Services is there for you and stands by you every step of the way to ensure we give your loved one an honorable Funeral Service. Allow Wiefels & Son Mortuary and Cremation Services the chance to serve your family. Contact us today to learn more about our Affordable Cost Options. Are you looking for our Current Obituaries? Click for information about  Cremation Services in Yucaipa CA. Can a function less formal than a funeral or memorial service be arranged? A Gathering of Friends is a less formal event. It allows family and friends to share their loss and share treasured memories of the deceased. A Gathering of Friends may include light refreshments and can be held at any appropriate location, including an accommodating funeral home, a park, a restaurant or the home of a family member or friend. | 50 E. Nicolet St.